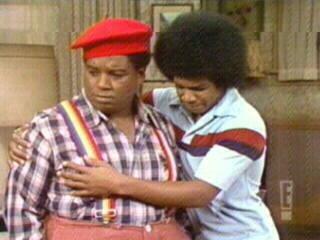 Fred Berry: African American Actor Who Achieved International Fame in "Whats Happening!" The African-American actor Fred Berry, who has died aged 52, found fame as the high school student Rerun Stubbs in the popular, 1970s <?xml:namespace prefix = st1 ns = "urn:schemas-microsoft-com:office:smarttags" />US television show, What's Happening!! He was well into his 20s when he joined the sitcom, and continued to play the role well into his 30s. Rerun was the rotund, dim-witted boy who was nevertheless cool and funny - and could also dance. The name, Berry said, referred to the fact that the character had to repeat all the classes he had failed during the school year. His character helped to popularise the phrases "Hey, Hey, Hey!" and "Hey Raj". What's Happening!! was his first acting job, and it brought him fame and money; he was a millionaire by the age of 29. But he lost it all to depression, an expensive lifestyle and drug addiction and, when the series ended in 1979, Berry found himself jobless and in financial ruin. He tried living off his fame by charging to appear at shopping malls, though he enjoyed another brief moment of success in 1985, when What's Happening!! returned as What's Happening Now! Despite shedding more than 100lbs, Berry then struggled to find television work. He wore Rerun's trademark red beret and suspenders in real life and adopted the nickname as his middle name. "I'm still called 'Rerun' and I love it!" he said. "People ask me to dance every day, no matter where I am - in the grocery store or in the bathroom." After leaving What's Happening Now!, Berry found help for his addictions and became a Baptist minister in 1985. He appeared in the film In The Hood (1998) and had several cameo roles over the years, including the hit TV series Scrubs (2003). Until recently, he had been one of the telephone friends for HollywoodsCalling.com, a service connecting fans with once-famous celebrities. Fred 'Rerun' Berry, actor, born March 13 1951; died October 21 2003.